Olympus has been a longtime leader in the "Lifeproof" camera category, and their latest camera model continues that legacy. 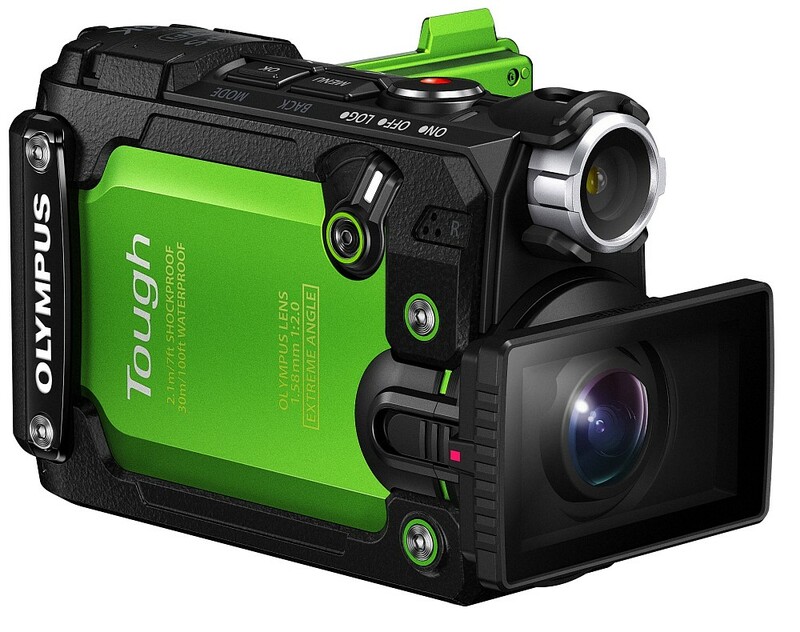 The all new Stylus TOUGH TG-Tracker is a unique TOUGH series camera, that sports an all new design. 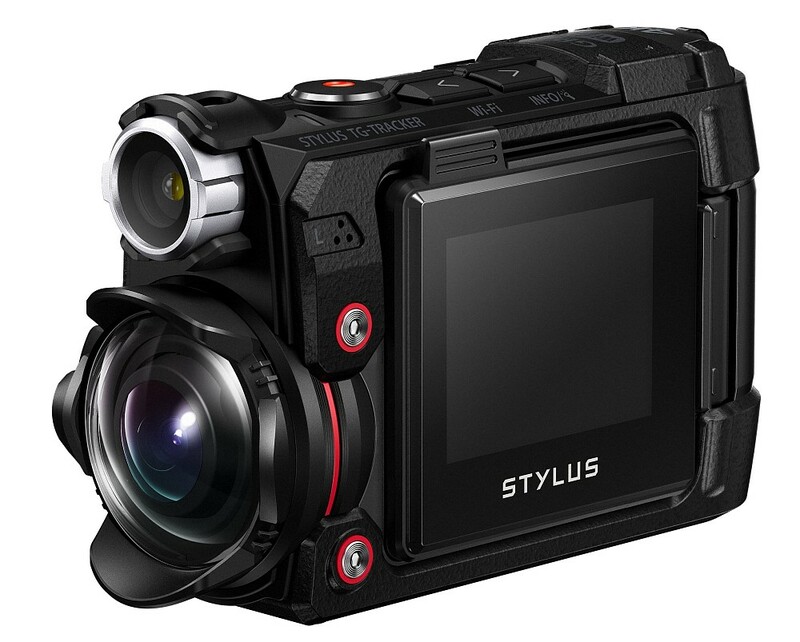 Instead of your typical digicam look and feel, Olympus has chosen a more camcorder-esque design. 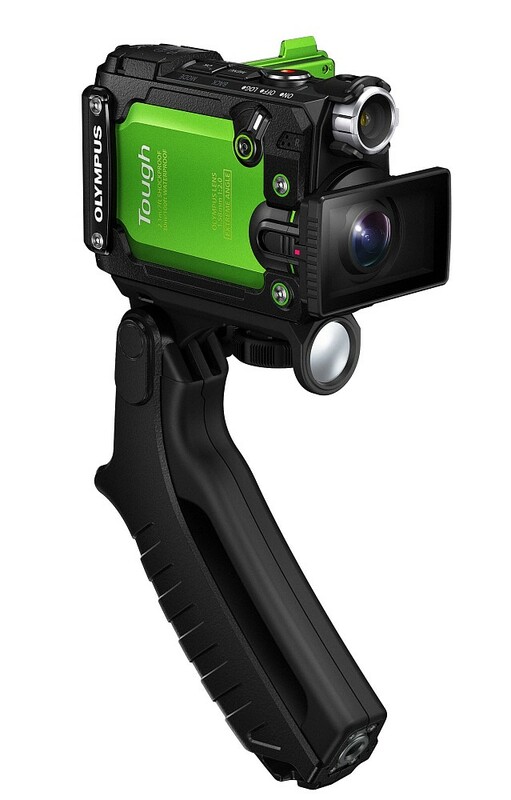 This actually appears to make the TG-Tracker easier to handle and use, especially with one hand, and Olympus noted they are also including a "Steady Grip" shooting accessory; see an image of that below. The TG-Tracker boasts improved lifeproof specs when compared to current TOUGH cameras, like the TG-870 we recently reviewed, being waterproof down to 30 meters (98 feet), freezeproof to 14°F (-10°C), crushproof to 220 pounds, shockproof from up to a 7 foot fall, and dustproof. 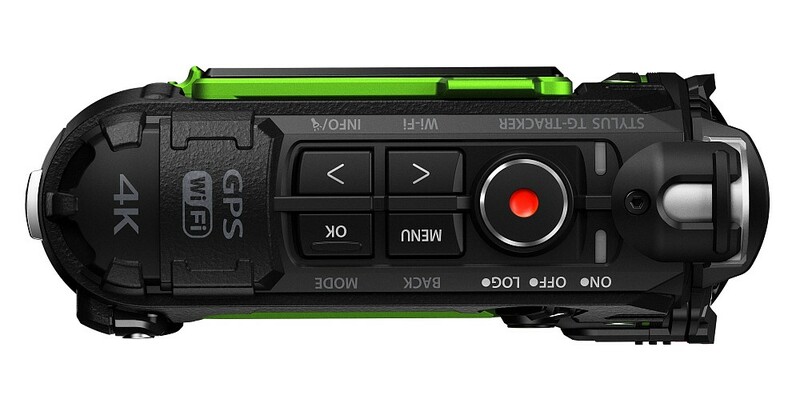 All of these combine to create a camera that you can truly take anywhere on an adventure. Olympus has included various new features to help enhance the TG-Trackers' underwater abilities. For starters, they've added a built-in "headlight", which offers up to 60 lumens of illumination for up to 60 seconds, or 20 lumens for an extended period of up to 30 minutes. Next they've installed an "Underwater Detector", which senses when the camera is taken underwater, and automatically changes the white balance to the underwater settings, as well as adjusts other settings for capturing photos beneath the surface. Lastly, they've added some new exposure control algorithms for better underwater photo quality. The camera captures loads of data from each sensor, and you can even put the camera into "Log mode", which powers down everything on the camera save these sensors. While you are on your journey, you can quickly power up the LCD screen to view a HUD (heads up display) that shows the output of each sensor; all the while saving power so you have plenty left to shoot high-resolution stills or 4K UHD video at your destination. 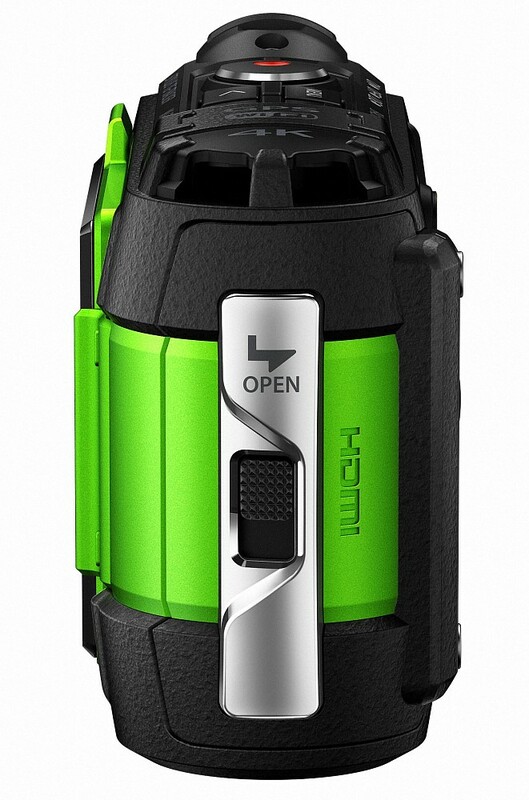 Speaking of power, Olympus has also upgraded the battery on this new model with a larger, 1350mAh pack, which will help ensure you have plenty of power for your trip. 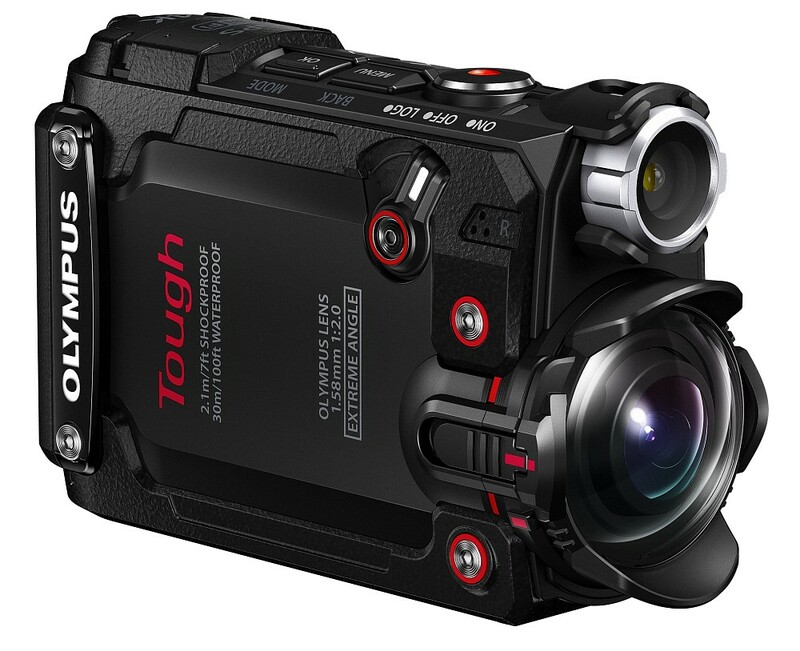 Some of the other appealing features of the new TG-Tracker include an ultra-wide angle lens that covers 204 degrees, TruePic 7 processor, 5-axis Image Stabilization, Built-in Wi-Fi, compatible with Olympus' new OI.Track 2.0 smart app (free), and various included accessories, including the new Steady Grip. 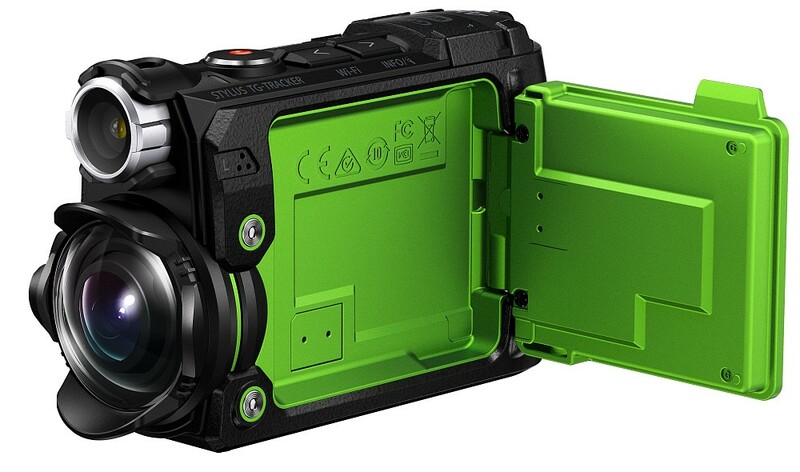 The TG-Tracker will be available in all back or black and green, with a suggested retail price of $349. It should hit dealer shelves in June or 2016.